This kit is one of a kind! The 13 Piece Mega Long Reach Car Opening Tool Kit is the newest car opening kit from PRO-LOK. 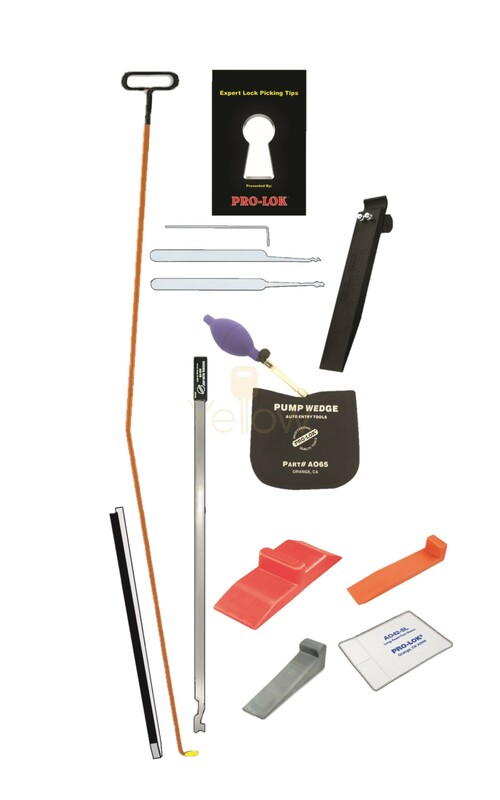 The kit includes everything one may need for gaining entry into an auto. From a variety of car opening tools to lock picks, there is no other entry kit available that provides a full spectrum of tools to gain entry. Ideal for the professional just getting established or the seasoned veteran who needs an full kit on hand at all times. Recently upgraded to include the AO68, Door Gapper Dual Tool!